Regan Reilly and her best friend, Kit, are on vacation in Honolulu, intent on having a Hawaiian adventure. They won't be disappointed! At the Waikiki Waters Resort, the body of Dorinda Dawes washes ashore. Around her neck is an exquisite and historically valuable shell lei that had been stolen from the Seashell Museum in Honolulu thirty years before. Will Brown, the manager of the resort, doesn't believe that it's an accidental drowning. In the three months Dorinda had worked in Hawaii, she had become a controversial character who had a reputation for pointing out the very worst in people. Will is afraid that she was murdered and that the murderer might still be in their midst. Lucky for Will, he meets Regan Reilly in the hotel lobby and convinces her to get on the case. Can Regan find out what really happened to Dorinda before it's too late for someone else? Before it's too late for her? Guess it's a good read if you're 12 years old. Belongs in the children's section. Even author sounded bored. I did not enjoy this book. The narration was poor and the story was not one that kept me on the edge of my seat. It was pretty corny. 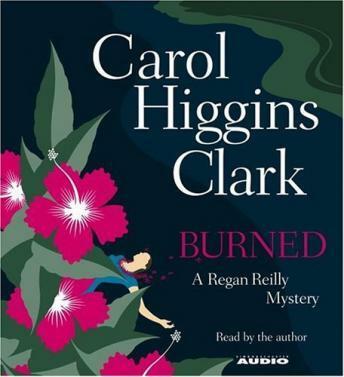 Another enjoyable story from Carol Higgins Clark. It evoked memories of time spent in Hawaii(without the bodies on the beach). I like the author reading the book as well. Entertaining, multiple story lines, a fun summer read. I found this book very predictable and therefore was not really impressed with it. I would not read another one of her stories. In addition, the reader was the writer of the book and she should not have been! I didn't care for this book at all, to slow for me. I like the fast moving, breath holding books by Sue Grafton and Mary Higgins Clark, Clive Cussler. Sorry Carol. The story line was so predictable with not much suspense and seemed very elementary. Maybe the reader had something to do with it. Was not impressed with her reading.